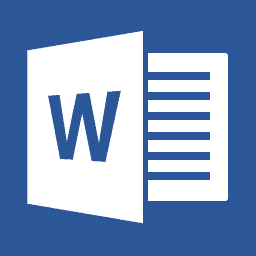 in Microsoft Word is when you copy and paste something into a document from another source, and it brings over the same formatting. Here’s how to make it always paste in plain text. One of the more annoying things in Microsoft Word is when you copy and paste something into a document from another source, and it brings over the same formatting. While you can use the Paste Special feature, it gets tedious if you’re doing it too often. For example, here I copied some text from groovyPost, and hit Ctrl + V to paste it in, and it brings the site formatting over – bolding, font style, font size. It’s set to bring over links automatically too. 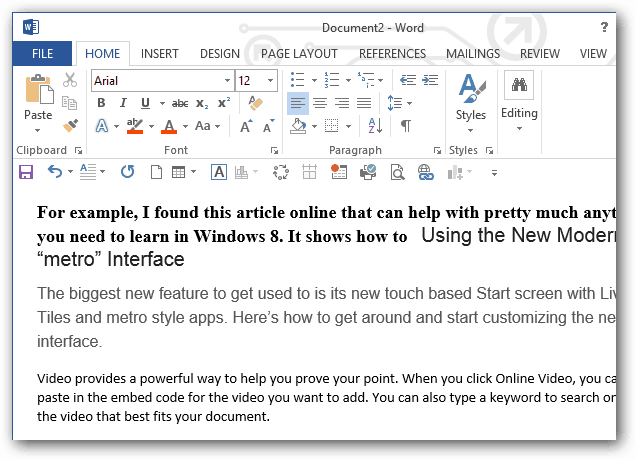 In Word 2010 or 2013, go to File > Options > Advanced or in Office 2007 click the Office button > Word Options > Advanced. Then scroll down to the Cut, Copy, and Paste section. Then change “Pasting Between Documents when Style Definitions Conflict” to Keep Text Only. Also change “Pasting From Other Programs” to Keep Text Only and click OK to save the changes and close out of Word Options. Now moving forward, anything you paste from any source, the formatting will be the default Calibri 11 point text font. Here I copied a section from our Complete Guide to Windows 8 which includes various fonts and links and it’s text only. You can also change your default Paste options to other settings. How you set them up will be based on how you use the feature and what works best for your situation. I find it a lot easier to make Word do this all the time and format text on my own in each document. How about you? Do you prefer to use this option or the Paste Special feature? Leave a comment and let us know! Thanks! This has bugged me a lot. Use PureText and you can do this in any application. Thanks for tip. Answer as to which method, depends on the final destination. 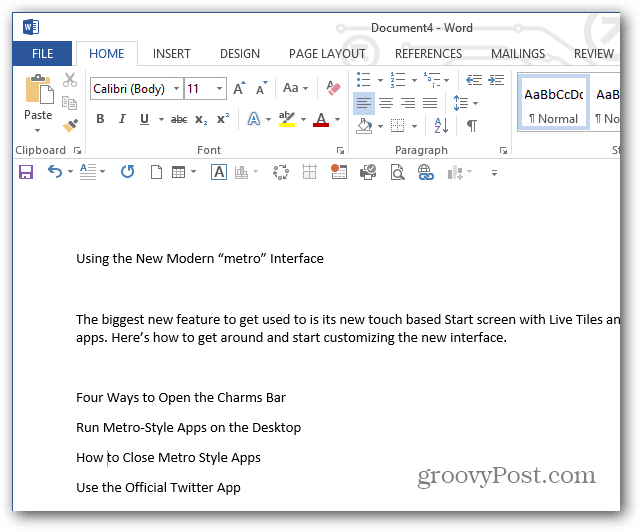 Most often I use Word 2013 to paste copied material into it, edit, then into an email. Lately some news articles do a lengthy pause or ghosting before the copied text appears in Word- makes you think it’s going to crash. This may help avoid that. Thanks for this information. I have Word 2010 and the constant change in formatting when pasting is driving me batty! I have “Keep Text Only” for all four options (within, between, conflicts, other programs). I have unchecked “smart cut and paste” (and have even tried with this option checked). I have saved my styles as normal/default, i.e. “New documents based on this template”. Despite all these changes, if I cut from e.g. the Wikipedia and paste into Word, it will keep original text formatting and import the style “apple converted space”. How do I stop this!?! I feel as though I have tried all possible combinations of options for cut and paste in the options menu. Yet this issue persists.